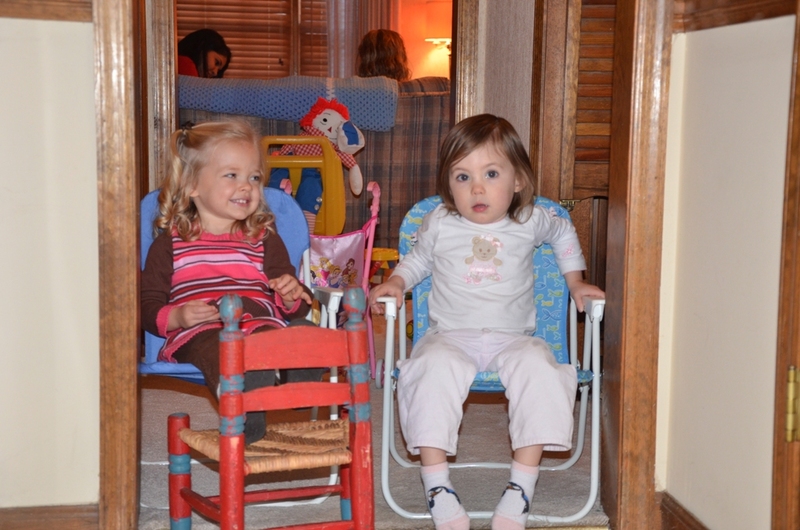 For Ella, Thanksgiving was all about "Baby Daniel" and Carmala. She was so excited to see them again - and to touch Daniel. Ella and Carmala are good friends. Els loves her big cousin. I just realized that Ella is Carmala's only younger cousin (so far, at least). 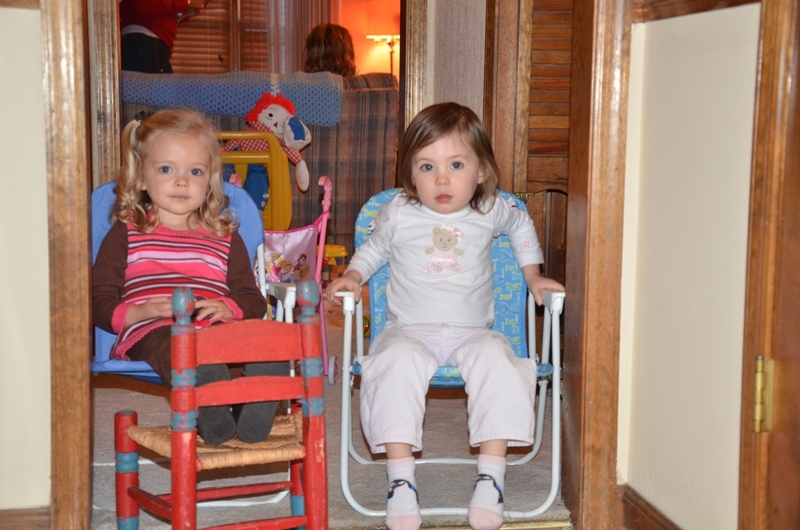 Teté's sister, Karen, came to visit for Thanksgiving. 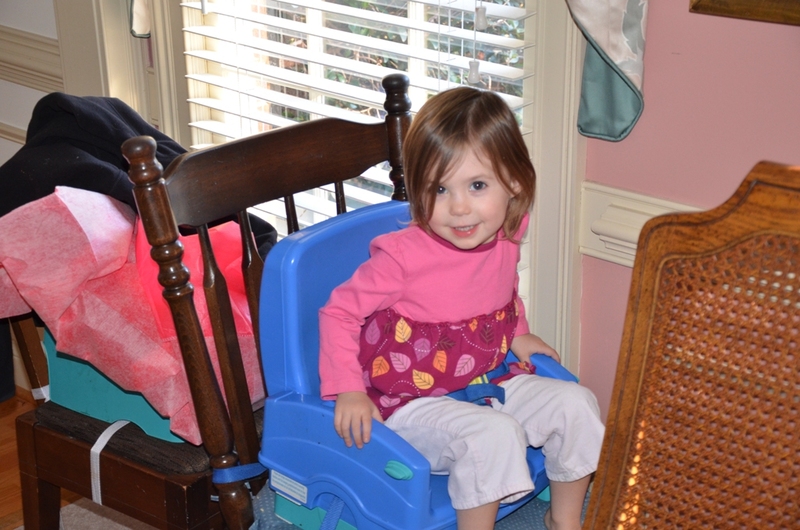 As the rest of us rest a bit between the meal and dessert, Carmala locks herself in a booster seat, but loves it. Cute girl. I find this odd, but cute.